Welcome to my stop on the Raining Romance Giveaway Hop! 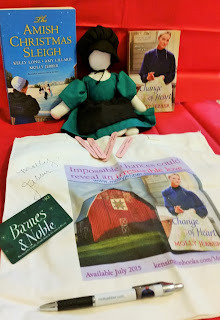 I'll be giving away my review copy of Change of Heart by Molly Jebber. Enter in the Giveaway Tools widget below for a chance to win! I enjoyed reading this collection of Christmas stories. There's something about the Christmas theme that brings a special spirit. The cold snowy setting is fascinating to me since I've never lived in snow before! The characters in A Sleigh Ride on Ice Mountain were multi-layered, there was more than meets the eye to Kate and Sebastian. A Mamm for Christmas featured some scheming children and their completely oblivious father. It was sweet how Bernice fell in love with the whole family. A similar plot was found in An Unexpected Christmas Blessing, but Luke is the one fighting the idea of marriage. 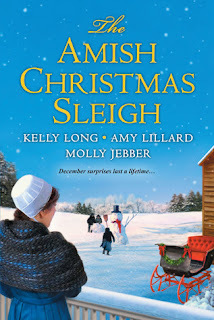 This is a collection that fans of Amish fiction will want to read for the holiday season. This was a difficult book for me to get into. The biggest problem for me was how stilted the dialogue and narration is (example: "Matt is sitting by the window at Lizzie's. No one is with him. I am hungry. We should join him.") It was just not a smooth read where I'm excited to read the next sentence, but more of a struggle. Much of the dialogue is of mundane things that made no difference to the plot but took up page space and made me lose interest. The narration also told of the characters thinking or feeling things that didn't quite fit with what is going on. There is a lot of telling instead of showing which made the characters seem two-dimensional to me. I think it would have benefited from a more thorough macro and line edit. For fans of Amish fiction not as picky as me I think this book will still be enjoyed by many. 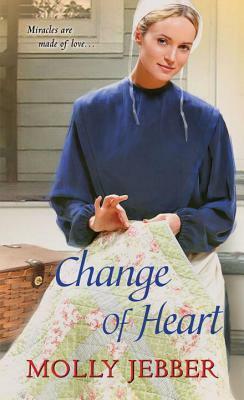 Molly Jebber is the author of CHANGE OF HEART, an Amish historical romance. Fascinated by the Amish history, culture, Molly pursued her passion to write. Her love of writing led to a book deal with Kensington Publishing as well as three more titles debuting in 2015 and 2016. Publisher’s Weekly magazine announced and listed this book number three in their best ten review list for 2015. Romantic Times gave Change of Heart 4.5 stars. Molly enjoys time with her family, friends, traveling, swimming and golf. She loves God and serving Him. Sign up for Molly’s newsletter for giveaways, appearances, and latest news on book releases. A copy of the book will be given away at each stop on the blog tour! So there are several chances for you to enter to win!